If I were you I would convince all the trustees to get an instant messenger name and set up times where you can all chat about this. That way, in your meetings you could i.m. each other. You talk about conversations behind closed doors. Mental picture: imagine what some of these guys would do when 4 i.m. boxes pop up. Also, I would make sure that the sound that occurs when a message is received is "i'm a calvinist"(you know instead of the ding). I also would send a text message to each trustee at least once a day (assuming they have cell phones). Mental picture: imagine seeing them hold their cell phones as far away as their arms could reach in order to ready the text message through their bifocals, then imagine them using their fat thumbs to type out a reply. They would be very confused with predictive text, having to call their grand kids to try an figure out how in the heck this works. Wade im assuming that you can enter this contests as many times as you want...correct? Solomon: Fast, pray, be faithful to what you already know to do, and obey the Spirit promptly when you need to do something new. Bob Hope: Blow a shofar! 1. Stay the course. You are already addressing the issue through your blog and through your ministry. 2. Stay Biblical. I think that as you clearly articulate your case from the Scriptures (thank God for Galatians!) that Truth will win in the end. 3. Stay on your knees. The Battle is the Lord's. But don't show up without calloused knees. It's a calloused heart you must fight against. 4. Stay in accountability. Do NOT fight this battle alone. Surround yourself with people that will challenge you, inspire you, and encourage you. Yes, Kent, as many times as your imaginative, razor sharp brain cells can fire Baptist neurons over the next three days. Just be careful about the fat jokes. Game over. Dave wins (at least in the Solomon category). Oops...I'm not the referee, sorry. None of these things will solve the immediate problem of convention politics, but it will give your time to the people who care about you the most, and I believe an even stronger love for your pastoral calling, which no one can take from you. You are already doing a great deal. The number one thing, as far as I am concerned, would be to make sure that the facts are disseminated far and wide--and to help make people aware of the nature of blogs. There was a bit in this week's Baptist Messenger about blogs--specifically yours--and it was clear that the subject is barely understood. When they printed your blog's web address instead of the blog name, apparently not knowing the difference, it spoke volumes. Printing and distributing sample posts from your blog to interested individuals might be helpful. I wouldn't worry too much about the outcome of the convention vote. It's more likely that you'd be voted the new president of the convention than it is that you'd be voted off the trustee board. With all of the Scriptural references to love, one would assume that all Christians would be inclined to put this four letter word into practice. With all of the scripture that refers to humility and servanthood, one would, once again, assume that Christians would exercise this virtue. Now that the liberals are out of the way, the trustees want to continue a fight against one of their own? A lost and dying world witnessing an Evangelical Christian body exercising the cut-throat mentality of corporate America. What a witness! During Joseph Stalin's "Reign of Terror" in the 1940-1950's in Soviet Russia a strange phenomena occurred. The leaders fought against each other. The most dedicated sycophants found themselves in perilous situations because they began picking each other off. They would frame one another so that Stalin would view them as an enemy of the state and he would have them knocked him. It seems to me that the trustees have become caught up in a power trip. If they have their way, their creed would be so defined that only a few hundred people could be left as possible missionaries. What will they wish to dictate next? You can only stand when you urinate as opposed to sitting...As for me and my house, when we urinate...oh, sorry, I probably am giving away too much info, the trustees may view this...whoops, goofed again...70 year old men viewing a blog? Not likely. Wade, continue to fight the good fight. You have my vote of support and prayer. Hold your head high. Stay on course. Do the right thing. Be willing to admit any sin asking for forgiveness if need be. Be willing to change your doctrine to conform to God's Word if need be. Be willing to disagree if God's Word doesn't clearly answer the doctrinal question. This is a reply of empathy. I know how those in power use that power and/or position to avoid doctrinal conflict. I know how you feel about taking the conflict to the blog public venue due to that doctrinal silence. ...bet you can't guess my answer! I would call Oprah Winfrey, Hilary Clinton, Michael Moore and Bill Maher. Ask them for advice. Then lump it all together, and do the exact OPPOSITE. I think one of the first things I would do would be to ask for a little clarification on the tongues policy. Specifically, does the prohibition against tongues imply a prohibition against the interpretation of tongues? If that were to be the case then I think the trustees may have violated their own policy. How the utterances "gossip" and "slander" became interpreted as "breach of trust" and "resistance to accountability" seem to me something only the Spirit could pull off. At your next trustee meeting tell the trustees that you attended a private caucus meeting in the lobby of the hotel and it was decided that it would be recommended that all of the trustees get a raise, then look one of the caucus members in the eye and say, "Now, who'd we decide was going to second that?" You have taken a stand to not compromise God's Word - Scripture AND His Voice. The enemy's goal in each generation is to silence the Voice of the Lord - the Holy Spirit, Old Test. prophets. In our denomintation, Satan, in stealth, has worked to make most discussion of specifics concerning the Holy Spirit limited at best to off limits at worst. This battle, at its core, is about stopping the Voice of the Lord. Removing any manifestation of the Holy Spirit (eg, a denomination voting to declare off limits certain Spiritual gifts) prevents the believer from walking in the power thereof. You are entering the Kingdom of God "territory" here. Here the enemy is totally defeated. He will surely use traditionalists to come against you just like Jesus' confrontation with the Pharisees and their pride. Our denomination must accept the truth that Jesus' great commission didn't stop at Mark 16:16...it continues in context thru v.18. Stand with Jesus...It's His battle. 1. Spend the next month studying IMB (and SBC) policies and procedures. It sounds as though you are up against a group, however small, that will use every nuance of parliamentary procedures to exclude/minimize your voice. Just because you're swimming with the sharks doesn't mean you want to act like one, but I would want to be the world's foremost shark expert. 2. Allow others (like some of us posting here) to encourage and organize people to attend the open plenary sessions of the Board meetings. No need to do it yourself. And, no need for those who are concerned about having the absolute BEST international missionary sending organization in the world to wait until summer and Greensboro to show up. 3. Don't allow the board to simply withdraw the motion. Preempt that decision with a specific offer of mediation. Which means thinking about who could mediate the differences between you and the board. I would even go as far as sounding out some individuals before hand; not to plan an agenda, just to ask them if they would be willing to mediate. 4. It's difficult to make amends with "the board" or with "the caucus group". I would direct all of my ideas, complaints, and offers to the chairman. That is not a personal attack. He IS the point man for the Trustees. He is either part of the problem or he has lost control (I mean that in a systemic sense) of the board. If he is part of the problem, it is an appropriate place to take your issues. If he has lost control of the process, then you can position yourself to help him get things back on track. 5. One criticism I have read on some blogs is that the issues keep changing/growing. I would admit and embrace that. At first there was one issue - the change in policy. Now there are several more. Next month there may be even more still. It's not that the issue changes. It's that there is no single issue: the more light is shined on the inner workings of the IMB, the more is evident that change must occur. 6. I would continue to pressure the rest of the board to come up with alternatives to removal. I would do this both publicly and privately. And, I would probably frame it the same way it was framed to you: "I don't want YOU to be embarrassed by this, what other ideas do you have to move beyond this impasse. The more you are seen genuinely reaching out for a solution, the more obstinate, angry, and sinful the rest of the board reveals itself to be (assuming they don't respond). (4) the final one-fourth to remain in their native lands but to watch eagerly for the undaunted IMB missionaries making their way right now to those dark and difficult places—Baptist believers doing whatever it takes, paying any price, cooperating tirelessly at length to bring the good news of Jesus Christ to those lost people before it’s too late. Or, we could just keep on doing what we were doing before all of these troubles began. I would WANT to fight it as hard as I could, knowing that I felt right, and knowing I had people that agreed with me. However; I would BELIEVE that I should pray, and quietly submit to what I was told to do. Try not to fight it, and believe that God had it under control. The Solomon Award . . .
Solomom proposed the baby be split in half. The true mother relenquished her child so that it could live. The other woman was willing to lose everything to hide the truth. God gave Solomon the wisdom to ask the question that revealed the truth. It seems the prize is really a power seat on the IMB Board of Trustees. I propose the entire IMB Trustee Board be removed. Then let each member of an SBC church see where their own state’s trustee stands. Who will be willing to relenquish power in order to allow God to reveal His truth? The Bob Hope Award . . .
Pray for a worldwide Pentacost. Then we will all understand what everyone is saying even when we eavesdrop on their private prayer time. And the best part is that the IMB would no longer have to spend money on language acquisition. The Albert Einstein Award . . .
Humbly request that every trustee submit an application to be an IMB missionary and go through the interview process. It could be enlightening. Then let the first stone be cast. If I were you, I think that it would be hard with all the loving support of our church, your family and friends to remain humble. As is to be expected, people you love, respect and value the opinion of, are encouraging you, you even have received a standing ovation. I would say, stay honest, especially to yourself. Continue to have faith and hope. Most importantly, continue demonstrating the love that you have thus far. In mu opinion, you are in a WIN-WIN position. You are pastor of a church where you are both respected and loved (if the many hits on your blogspot are any indicator), and have done nothing more than reveal a serious flaw in the SBC and the trustee system at present. I would say you need do nothing more...in fact, continue as Jesus did, making no defense of Himself. I think that no matter the outcome in Greensboro, you can continue to hold your head high and continue to carry God's message. I would like to suggest that all SBC open meetings of SBC trustees (IMB, NAMB, seminaries, etc) be broadcast on the internet and that the meetings be archived for viewing for at least 1 year. I checked and the SBC annual meeting 2005 was broadcasted on the internet and can be viewed even today. Of course executive sessions would not be broadcasted or recorded since they deal with sensitive issues and personnel issues. First, this would make information more readily available to ALL SBC church members. Secondly, it would make all of the trustees more accountable to local churches and members. I believe accountability is one of the issues mentiond by the trustee chairman. This is not without precedent with our yearly convention so well documented online. We should use evermore effective technology for evermore better dissimination of the truth, be it the Gospel message or a trutee board meeting. Is this too great of a leap??? At this time it would not be wise to use my name. Just remember, Wade, greater men--Hans Kung and Matthew Fox-- have been fired by the Pope. Read 2 Chron. 20:1-30. God is faithful. Solomon Award: The IMB Board of Trustees publicly apologize to Wade Burleson and withdraw their motion for removal. The two new policies are rescinded and any future attempts at narrowing the qualifications of missionaries must be convention approved. Term limits are set for Board members and only one person for family may be allowed to serve. Bob Hope Award: Take your beautiful wife to the platform. Ain't nobody gonna vote against you after seeing her. Albert Einstein Award: Announce the rapture has occured and the premillenialists were correct. Since every Southern Baptist is still here, we must all be lost. Let them know our lost condition is most likely due to two reasons: (1). We were baptized in the wrong church, or, (2). We really didn't have the gift of the Spirit after all. Since the entire convention seems to follow leadership so gullibly, rebaptize everyone. Our stats are up for the year, and everyone is then part of the pure church. Until retirement in Enid he stayed. From an active IMB Missionary, I propose for the Bob Hope award: having the trustees meet, set policies and live by Biblical principles! MAybe the first principle would be only do two things in secret; pray and give. Then see how far an OPEN TO ALL FOR THE ENTIRE SESSIONS trustee meeting would go. I think that for the first time in history someone, like you, should announce their split from the SBC. Upon doing this also announce that you will holding secret meetings at which others may attend, then begin the process of constructing a new entity that is based on the all of the old policies. Man, that would be incredible. It could be the Barnabas Baptist Convention in honor of Paul and Barnabas going their seperate ways. If your goal is to defend your reputation, then continue to speak and live with integrity – that speaks for itself. It also brings out the faults of your accusers - lack of understanding at the minimum; deception and worse are possibilities for the maximum. If your goal is to reverse the newly adopted policies of the IMB, then publicity and motivation are the keys. You are going to need to reach pastors throughout the SBC and share your thoughts with them. Blogging helps and is a constant reference to the process of what has happened, but you still need to bridge the gaps that are created by age, education, location and established spheres of influence - both cultural and convention oriented. Blogging will not help you reach these people. Word of mouth is what is trusted. I met with four other ministers on Friday and shared what was going on and talked with another on staff at my church this morning. They need to know and I am trying to influence and motivate them to take action. This is also the heart of the conservative resurgence starting in ’79. Everyone credits Patterson and Pressler, but the grass roots were the key and if you reach them you will have success and if you don’t, you won’t. If your goal is to change who is in control of the SBC, then you may have the wrong goal. The political structure is embedded deeply and has the trust of the people. Moreover, I don’t know that they need to “lose” power. I don’t suspect this is your goal, but I do suspect is the goal of others who are now backing you. If your goal is the inclusion of another generation in the SBC, so that we are not lost to the independent/non-denominational movement, then blogging is your biggest weapon, albeit not your only weapon. In my meeting on Friday, I distributed copies of the story run in our Baptist Paper about the IMB asking for your removal. I also distributed the web addresses to your blog and Marty Duran’s blog, SBC outpost. These were men under the age of forty (except one) and one of which was still in his early 20’s. They just said they would read the blogs and all the links. Word of mouth will be crucial here, also, but you can make a quantum leap by reaching the 20’s and 30’s ministers through the internet. As it relates to using the internet: No emails to be forwarded to friends and friends of friends. They can be edited. You should also post on your blog that you will not be doing this, so that if anyone receives and email said to be from you, they can be confident that it is not. Also, link to as many like minded blogs as you can, and get them to link to you. That network is key to drawing people who happen across the story into your own site – your own words. This is a double edged sword, though. Some sites that you may want to link to, may not represent you in full and their content could be used against you. Or, you could hire a streaker for Greensboro with “Support Wade” painted on his backside. Bob Hope: Tell the following joke to the Trustees: There was a man who was about to jump from a bridge to end his own life. A passerby stopped to try to prevent it. The passerby tried to start a conversation and told the jumper, "I am a Baptist". The jumper said, "me too". "Oh really, that's great", said the passerby, "are you a pre-millenialist Baptist?" The jumper replied, "yes I am". The passerby said, "great, me too". The passerby asked, "are you a King James version only Baptist or will you use Holman too?" "King James only" said the jumper. "Me too" said the passerby. "Are you a 5-point Calvinist? ", asked the passerby. "No" replied the jumper. "Me either" said the passerby. "Do you allow a private prayer language or accept baptism done in churches that do not accept security of the believer?" The jumper replied "Yes". At this point, the passerby pushed the jumper off the bridge (I should state that this joke is not original with me, my very conservative and very evangelism-minded pastor told it). Albert Einstein: Ask all Professors of New Testament studies in our seminaries to write an analysis on both issues and submit them anonymously (so there can be no chance that their analysis will be influenced by the opinion of the Seminary President). Agree to abide by the majority opinions on both issues. Marty Duren: Keep on blogging and praying and if you are still sure you are within God's will in June, show up at Greensboro to see what God can do! Solomon: Find several prominent SBC leaders who are known to disagree about these or other issues (For example, Al Mohler and Paige Patterson on 5-point Calvinism). Arrange a debate between them at the Annual Meeting, followed by a vote to decide who won and who lost. The loser would agree to leave his employment with the SBC and/or his positions of service. Repeat this process every year until all the crusading leaders have eliminated each other (OK, this has a touch of Bob Hope, but I can't claim to have the wisdom of Solomon). One clarification on the joke in my last post. I changed the last line to fit the current situation, my pastor's version ended a little differently, but the point was the same. I was trying to think of something brilliant until I read Dorcas' post. Wherever one stands on the issues at hand, that's great advice for any pastor, or anyone else for that matter. I have posted a major story on you in a state paper East of the Missippi in the Public Square and brought attention to it this morning in Sunday School. I hope all pursue this to as much truth as the priesthood can absorb. Ignore the flack from the Southern Baptist Convention and/or IMB board and/or the media and focus on your primary calling to be pastor of Immanuel Baptist Church of Enid where you can glorify God and make disciples - top priority! 1. Those who need to repent, do so; those who need to forgive, do so; everyone live graciously since most of us are idiots most of the time. 2. I must agree with the person who said to paint "Support Wade" across someone's backside at Greensboro and I suggest it be Joe Thorn's. 3. N/A, due to a conflict of interest. 4. Ask Jimmy Carter to mediate the conflict since he has so much experience with 3rd World governments and banana republics. On the other hand, YOU are the “perfect” fit for your shoes, Wade. . .and there is already wisdom readily available to you infinitely greater than any which another mortal could possibly offer. . .God’s breathed word. In the meantime, the mission of Christian evangelism is too great to be held hostage to personal agendas of control and influence. Lord, help all of us to keep our eyes on His Great Commission! Wade you are privy to information that we are not because of your position on the Trustee Board. We also apparently do not have the whole story and I don't know that we need it. There are a lot of speculations about the real intent and purpose of these policy changes, and I assume since you don't disagree with the theology that you disagree with the intent. So my advice to you is not one of us are qualified to advise on this issue. Unless both sides of this issue actually let us know everything they know. Wade ultimatley none of us can give you true wisdom on this issue because we are not there and one side is not really speaking on the issue. I would urge you as a be careful not to neglect your flock during this time. Once again it is a shame how much time we spend in "the church" with efforts intended soley for furthering the "organization" and not the "organism"! Unfortunately our major denominations have become infamous for these actions. Hang in there and hold fast to your convictions. Be cautious about fighting politics to the extent it begins to take away your efforts and your time with your church, to which God has called you. Is there a prize for this contest? 1. If it was before Watergate you might have been able to go the FMB files, but it is post watergate. (Just a thought of a tired preacher on Sunday night after a long day). 2. Form a newspapger to be distributed accross the convention to get your point out. Oh! this is the 21st century. That was a 1980's concept. 3. Write a song and find a christian rap group to get the word out. I am sorry that is not a current genre for us as a middle aged Southern Baptist. 4. The reality is that we have not been able to have open discussion among Southern Baptist for guite some time. It will be a refreshing change to be able to talk about the issues and to have an honest debate where we can learn to work and serve God together. The prize is a signed copy of my book "Happiness Doesn't Just Happen: Learning to Be Content Regardless of Your Circumstances" which was written as an exposition of Philippians 4:11 but has now become an autobiography. Not only have the person with "Support Wade" on the backside, but make t-shirts and buttons that read "Support Wade." Set up a nice booth at Greensboro to sell the items, and use the proceeds as a fundraiser for your church or donate them to the Lottie Moon Offering. I think you should pray for wisdom in some language (but don't let anyone know which language it is so that it is a secret)(I suggest Aymara but don't tell anyone...shh!) and then you should be re-baptized in an Anglican church. "If you were in my shoes what would you do?" I'd practice trying to walk around without a big smile on my face. If I was in Wade's mind, I should be hearing, "God chose to bless me. The IMB needed some reforming, and bringing it to my brothers' attention fell in my lap. What an honor it is to now be a part of history for the good of evangelism and Southern Baptists." 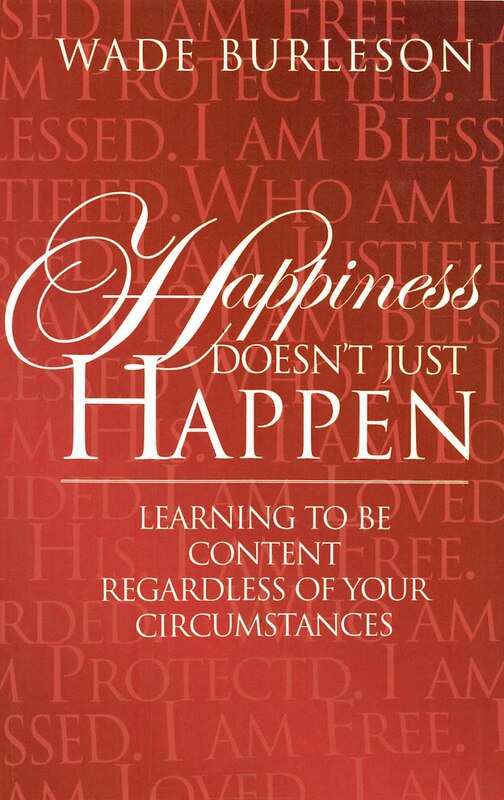 Wade wrote, "The prize is a signed copy of my book 'Happiness Doesn't Just Happen: Learning to Be Content Regardless of Your Circumstances' which was written as an exposition of Philippians 4:11 but has now become an autobiography." Too funny. A couple of hundred million people and I would trade places with you in a heartbeat. Somehow I doubt that Jimm-uh would come anywhere near this. There are easier disputes for him to mediate, like North Korea or Iran. Besides, what are the odds that Jimm-uh Cah-tuh would walk into a room full of Southern Baptists these days? 3. If you can do so without violating any personnel or confidentiality policies, share stories about called and qualified missionary candidates who have been rejected because of the new policies (with their permission, of course). Even better, allow them to share their own stories. Let our SBC family see the negative effect these policies are having on our missions work. 4. Remind the other trustees that rebaptizing Christians who were biblically baptized in a church that doesn't embrace the doctrine of eternal security is NOT what Bobby Welch had in mind when he laid out the goal of 1 million baptisms this year. Get with Steve McCoy and have a beer in Greensboro outside of Jack Graham's suite. Sing endless stanzas of "Fill my cup, Lord" at the top of your lungs. Buy a white suit to wear to the convention. Have taps put on all your dress shoes. Stop using the Luther-at-the-Diet-of-Worms quotes and analogies. It comes across as though you have an inflated view of your own role in the Kingdom. Your adversaries will use this against you. Never trust the guy who comes to you bringing news of a "settlement" or a "truce" or prospects of "negotiating" with those who would move your ouster. There is a reason we shoot the messengers. More often than not they're only loyalty is to themselves. Take some time off. Head to one of those Indian Bingo places or a reservation casino in your home state. Have pictures taken of yourself pulling the one-armed bandit or ink-stamping your bingo card. Have the picture made into a postcard and sent to your fellow trustees at the IMB with the words "Ain't Misbehavin'" printed on it. Call Jim Henry of FBC Orlando. Ask his advice. He's been the target of venomous personal assaults by the crusaders. His judgment is sound and his counsel is golden. Get a pedicure with O.S. Hawkins. Get Wiley Drake to write and offer a resolution in your defense at the meeting in Greensboro. Write an official request to the Committee on Order of Business for the SBC Meeting in Greensboro asking for equal time to respond to the motion from the convention dais. Copy the letter to Bobby Welch, Tom Hatley and Morris Chapman. Contact Baptist Press about the securing a time for a press conference at the convention. Snap into a Slim Jim. Be careful of those that call you brother. That’s what Paul was called by men who suggested he go to those who wanted him dead. As a result, Paul was never free again. These ‘brothers’ never visited him in jail or testified for him at his trial. At the close of his life, Paul put two and two together and he wrote, “At my first answer no man stood with me…I pray God that it may not be laid to their charge.” He knew and God knew what men he was refering to. He knew his part in killing Stephen and quoted Stephen’s prayer. Had the same crime been done? I called you brother because we will be in heaven together. I never heard of you until three days ago when a local paper printed what Rachel Zoll wrote of your wonderful sermon on Jan. 15. I say ‘wonderful’ because it brought out what moderates have complained against for years. In my opinion, moderates are what conservatives used to be, and conservatives have become liberals in reverse. That happened when the glue that held Baptists together was switched from missions to doctrine. What our leaders won’t admit is they spend more time and energy arguing doctrine and rules than they do in winning souls. As a result, Baptist are decaying from within. I had no answer to a missionary that asked a sad question, “If I just preach the Gospel, am I a conservative or a moderate?” My uncle was a Southern Baptist missionary for 38 years, his son for 39 years, and my son for 7. God still calls missionaries and at one time Baptists trusted the Holy Spirit to guide them. The IMB egnored the rule ‘if it’s not broken, don’t fixt it’, and in April 1997, asked the missionaries to have “a confidence and willingness to follow the wisdom and guidance of God-appointed leadership, whether we necessarily understand or agree.” The IMB became a command post and the Holy Spirit took second place. This church has not pledged their individual priesthood to God to be guided by the Holy Spirit in any revisions, but they have given their pristhood to those that control the BFM. The BFM is not God and neither are the trustees of the IMB. Do you realize what your words mean? They are opposite of your sermon against having to believe the same on nonessentials of the faith. “Any policy” means they could rule women must keep their heads covered in church. Would you assist in shaving missionary head’s that may break such a rule? You want some advice? To keep people like me from voting for you not to be fired and embarrasing your fellow conservatives and fundamentalists, you need to resign or have a fatal heart attack. On the otherhand, if you want our SBC to stop sinking into Catholicism, stand your ground. I chose to place your post in the comment section, even though I have rejected numerous CBF posts and "moderate" complaints, simply because you have raised some excellent points and were reserved. I am attempting to remain very cordial and kind to people within the SBC, though my toughest posts say difficult things. I do not want to get to the point where people lob personal attacks against each other. They may come to me, but I don't wish to throw them back. I realize that some may have a hard time distinguishing my concern expresssed on the basis of principle, and my refusal to make it personal, but I will continue to be focused on trying to keep this a matter debated on the merits of principle, not personalities. Having said that, please allow me to answer two of your complaints toward me. (1). You say my statement "I am a trustee that lives by policy" is wrong. You ask, What happens to the priesthood of the believer? My response: This is the rub for many with me. I have taken my concerns to the Convention as a whole, since they (the messengers of the Convention) appointed me. My actions are by the book as far as SBC policy is concerned. What I can't understand is why there was such a vehement attack on me when I did the very thing the policy dictates a trustee should do if he is concerned about the direction of the Board on which he serves. If the convention does not share my concern, I will not remain a trustee, and will gladly abide by their (the messengers) wishes. (2). Then you ask the question, "What happens if future policies are even more bizarre?" My answer: I'll do the same thing. That is why you may find some trustees saying, "I just can't work with Wade Burleson." I think they know I must be given good, Biblical reason for new policies. Having said that Mr. Anonymous, allow me to address SBC Dissenter in this post as well. SBC Dissenter, you are an insider, I can tell. You are also quite funny. (1). A priest (pastor) goes against the growing tide of the church. (2). The priest (pastor) is threatened with excommunication (and more). (3). The priest (pastor) continues to voice his concerns in the face of repeated attempts to silence him. To me, the idea that I would compare myself to Luther is another indication that some people have a hard time viewing principles because they keep wanting to make it personal. I would say to everyone --- my friends and those who don't wish to call me a friend --- focus on the PRINCIPLES. I am not the issue. Wade: I would get the staff to cover for as many activities as they can there in Enid and take some time off for some serious boning up. It looks like you may be going on Oprah or Larry King soon, upstaging Al Mohler and I am delighted about that; Dr. Mohler has become so overrated. I would seek counsel with DAvid Gushee and Carey Newman, their academic and conservative and wisdom credentials are impeccable as at the same time they have spoken against the same ugliness in the conservative resurgence you have spoken against. Then I would reconsider everything about where you are at this point in your life and how you got there, especially your denominational ID. 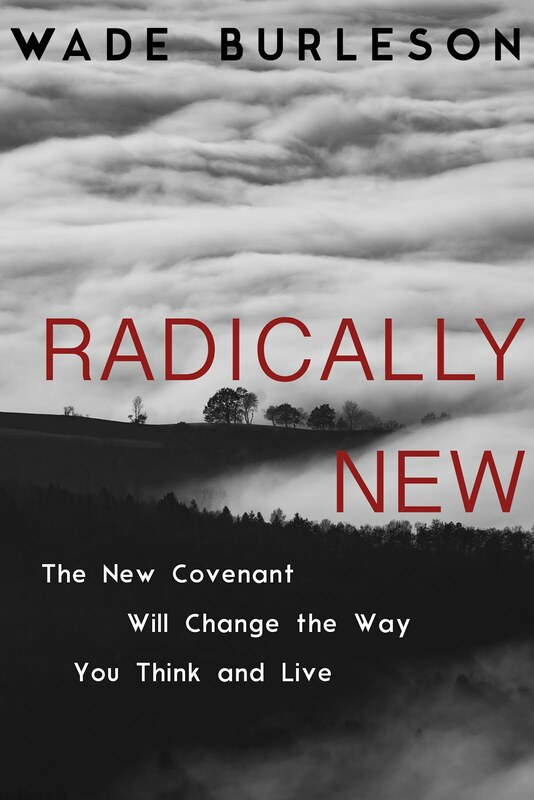 I encourage you to read all the works out there on the SBC in the last 20 years including the most respected ones which include those by Nancy Ammerman, especially her Southern Baptists Observed. Seek the counsel of Mark Noll and his great friend Randall Balmer. Look at those outside our tradition who have looked at us in particular Ellen Rosenberg in SB's Subculture in Transition; and Harold Bloom's chapters on the Baptists in The AMerican Religion. And by all means do take a good reading of Barry Hankins, Uneasy in Babylon. Fly into Bham and have a heart to heart talk with the administration of the WMU. Talk to their friend, the current Miss AMerica Deidre Downs. See if JIm Henry's daughter Kate Campbell will meet with you for an hour when she flies into OK City in four weeks or so. Step back and take a good look at everything once again. You are in the eye of the aftermath of the Storm. You want to get your chapter in Baptist history right for your children and grandchildren. Consider Bonhoeffer one more time and Marshall Frady for the first. There is the Old and the New and you are in the Now Testament. May God's Grace apply by the best lights he has given you. Whenever you speak with anyone on the IMB Board, speak in a tongue. Make sure to have someone there (take Choate) to interpret. Just a note to say that I agree with your stance 100%. You said to have fun with this and that is a great idea, but this is no laughing matter. The stance the Board of Trustees has taken is not only unbiblical, it borders on the Satanic in that it is so ungodly! If I were "in your shoes" I would allow the controversy brew to a fever pitch over the next couple of months and then resign my position on the Board to avoid a vote at the Convention. There is too much to lose and too little to gain by allowing the vote. Think about it. If I were you my thought process would go like this: My ablilty to be an effective member of the Board even if retained by the convention would be dubious at best. I would consider that exposing problems at the board was the most important service could ever offer to the convention. As a whistleblower who would have to go back and work with the people who were exposed by me, I would find no welcome no matter what the covention's will was. It would be kind of like the preacher trying to stay at the church where the deacons voted to kick the preacher out but the congregation voted for him to stay. It just doesn't work. Allowing the vote to go on in Greensboro carries some very serious potential consequences for myself, my family and my congregation. I would consider my heart. While on idological grounds I would be more than willing to allow this to go to a vote at the convention I would have to consider whether I am prepared for the consequences. When this issue remained within the confines of the BOT I would have had a few people who were angry with me. Am I ready for half the convention to be angry with me and lable me a "moderate" (Heaven forbid). Would I be prepared to be labeled a troublemaker and a heretic before thousands and on national media with no adequate opportunity to mount a defense? (You are at a huge disadvantage because there is no way this whole saga can be communicated adequatly to messengers on the Convention floor). I would not dare let it go to the convention floor if I did not have other trustees who were willing to vocally support me on the floor realizing that I cannot mount an adequte defense for myself. What would my emotional/mental response be if I am made a fool before thousands of fellow Southern Baptists and the national media? I would consider what this will do to my family. No matter what happens this has hurt them. The last thing I want is for my children to grow up hating church or my denomination because of what they did to daddy. I would not sacrifice them on this altar. I would consider my job done. The convention has been notified of the problem It will determine whether it will accept the rule of Landmarkist right wing fundamentalists or not with our without the vote. I would hang on long enough to keep the story in the media for a time to force discussion and debate and then step aside. Be wise as a serpant and as harmless as a dove. This advice is not so much what to do but what to watch out for. And the advice is not mine, but John Newton's. Perhaps you've seen before his letter "On Controversy" written to a fellow pastor. That pastor was engaged in quite a different dispute (Arminianism vs Calvinism), but I think the same principles hold. Newton says: Think seriously about the impact of your attitude and actions on your opponents, the public, and yourself. Read the letter carefully. There is much wisdom there. Sounds like the country club is built a bit close to the sewer plant on this deal. After discussing all manner of imorality, Paul is hardest on and calls for the exclusion not of the imoral, but of the factious, as they work toward the division of the body of Christ. Ours is not to correct the wrongs of the world, but to allow God to correct us as we speak the truth in love. (3) Require all IMB members to demonstrate facility in a public cursing language and name which Presbyterian they use as an interpreter so that everything can be done decently and in order. The gift of discernment is needed to choose which one to use, but surely one of these will work, until that which is the perfect IMB has come. "I don't think of it as a private prayer language; I think of it as potential Masonic passwords." Some of you ought to apply for Jay Leno's spot upon his retirement. Get every trustee to go on a mission trip to the outermost, remotest parts where our missionaries serve. Only one rule, none of them come home until they lead ten people to Christ, baptize those ten people and disciple those ten people to be soul winners. Who knows, this may lead them to a deeper prayer life. Quit taking advice from men and start looking to God. A good place to start is 1 Timothy 4. The problem in the SBC is for too long we have majored on the minor and minored on the major. Get off the internet and do what God called you to do. Go to the mat, only when you have the most leverage. I know you're not taking votes, but I think Heath Powers' comment has to be in the top three for either the Bob Hope or Albert Einstein Award. I think you should start a blog...so others could see...wha...already has....doh! I have it. They don't know it. Nuke'em till they glow then shoot'em, tell God they died wouldn't work would it? This is not Spurgeon in the Downgrade controversy. This is not Bunyan in Jail. This is not Pink exiled to the Scottish Isles. This is not Luther at Worms. This is not Harold Lindsell, calling Fuller to task. This is retrograde--a silly controversy started by mainline conservatives who are more scared of a calvinst who believes in holiness than they would be of a woman deacon. In a comparable situation in a church we used to attend, a close friend and I considered bringing a motion that was the opposite of our view. This was not meant to be as cynical as it sounds. In our situation, the church's bylaws had been completely neglected and we had drifted from congregational rule into elder rule. Everyone was utterly confused about what we should be doing . The existing elder board had de facto invalidated the constitution and they were the only leadership we had (it's hard to believe, but the reason the elder board had done this was not so much malicious as sheer ignorance). Everyone was super-confused about the idea of principle-based leadership. They could see the human leaders we had, but couldn't grasp the notion of a constitution governing our situation. It was exasperating. Our efforts to bring clarity to it were interpreted as rebelliousness against our spiritual leaders--an explosive charge that put us in a terrible light. The church also thought that an elder board existed to always be in unity. My friend was on the elder board himself but was in severe disagreement with what was being done. As a consequence, the board froze him out--he wasn't even give the time and location of board meetings. Many in the church didn't see the problem with this. They had a hard time seeing him as accountable to the church(not to the board primarily). However, many were also very happy that he was standing up for principles because they generally didn't like what was going on; they just didn't see a framework in which to voice their opinions themselves. "We move to dissolve our constitution and strip the congregation of any governance over the elder board. We hereby move to be an elder-rule church. Elders will be appointed by elders. The church will under the elders. Elders are not accountable to the church, but to God and Scripture." This was the exact opposite of everything we believed in in the situation. But it was also the exact consequence of everything that was being done. In our frustration at our inability to bring clarity to the situation, we thought that perhaps if we advocated the logical outcome of the current situation, its rather alarming features might start sinking in. We had a hard time figuring out how we could do this and preserve an appearance of integrity. It would have been hard to see it as other than a cynical move. So we never did it. I've often wondered, though, what might have happened had we done it. Eventually our church situation was resolved with some painful mediation that involved having the entire board dismissed. The mediation was difficult and the mediators had a hard time with the whole thing (I think it was their most challenging case ever). They did not succeed in bringing as much clarity to the situation as might have been desirable. As a result, although the short-term issues were partially resolved, the church did not make many strides in the long-term. That will have to wait for the next conflict, which is highly likely to come because of the existing lack of clarity. Had we brought our "opposite" motion it might have been passed (which would have been fatal for the church, which was hovering on the brink of death). Had it been defeated though, it would have brought a clarity to the church that is still lacking. Bring a motion to the IMB board that establishes a policy that anyone who publicly disagrees with a decision of the board (by whatever medium) shall automatically be considered for a motion to recommend removal to the SBC. Second, bring a motion at the IMB that specifically allows extra-board caucuses. Third, at the convention spearhead an effort to revise the BFM to include the new IMB policies (regarding prayer language and Landmarkish baptism). It would be terribly difficult to clearly communicate why you are doing these things. But boy, it might rally people against these trends really fast. Wade, I know of you via some very talented young men from your church who like to impersonate "Elvis" ...Jason, Brent et al. They hold you in very high esteem. Frankly, I agree with the position excluding people of the charismatic persuasion because this movement is the source of so many heresies today. Scriptural baptism is clearly immersion but I can think of many times when the physical condition of the convert might interfere. But clearly a sincere disagreement is not active here. Some trustees may feel their power threatened and may simply dislike anyone who opposes them. They probably have served too long! Clearly, the IMB needs restructuring with term limits added. Power and personality were the divisive forces in the recent conservative/moderate controversy. The late Herschel Hobbs, Chairman of the Baptist Peace Committee, once told me that one day Southern Baptists would work out their issues and then would approach the world with the Gospel only to find the world disinterested because of all the world had witnessed previously. I am an old guy who has seen Baptist power structures function like this before. It has been difficult not to walk away from an entity that Christ died for......my love for my Redeemer has kept me from leaving. My advice to you, Wade, is to humbly seek a personal visit with each of the trustees who has opposed you and seek resolution. Go on your knees if necessary and take some witnesses with you. I have read your comments and your heart seems right. My guess is that Oklahomans and other right thinking people will rise to your defense in great numbers. Regardless, your calling is from God. Do not ever lose sight of that! Now for the funny prize. I cannot find a committee/board in my search of the Scriptures. The closest was when Jesus met with His disciples in the Garden of Gethsemane on the eve of His crucifixion......when they all fell asleep, Jesus accomplished His business! "By this shall all men know you are my disciples, when you have love one for another" ......the greatest verse on evangelism in the Bible! I covenant to pray for you and your family and that God be honored and glorified in the resolution of this dilemna. Shoot. This emergent-lite SBTS student just about fell out of her chair reading some of the Bob Hope entries. I think Kiki's advice is the best -- it's Biblical, after all. My advice? Get CJ Mahaney to back you up at the convention. That guy has the Toronto Blessing, or maybe he's just too easily entertained. But either way, he'd be a breath of fresh air in with all those SBC fuddy-duddys. And anybody with the Toronto Blessing makes private use of tongues seem pretty tame. 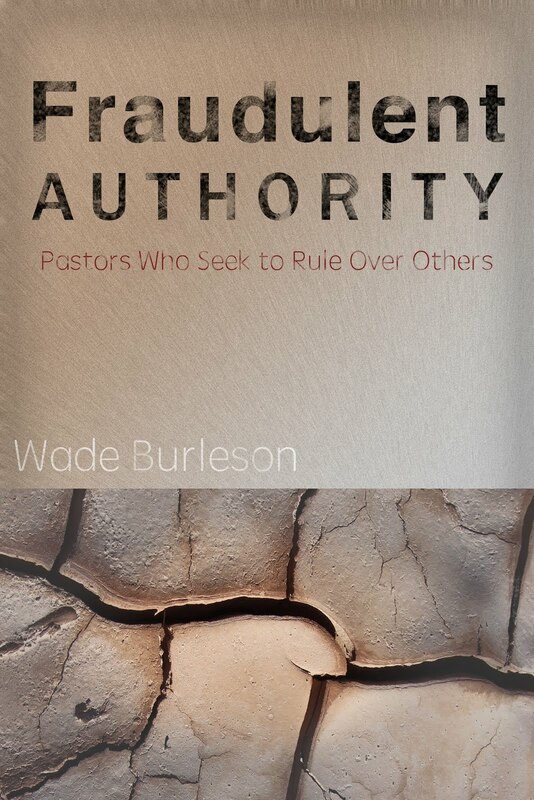 During the Southwestern Seminary report at the convention in Greensboro, NC, hire a missionary from Mississippi who is stateside on furlough to ask Paige the following quesiton: "What should the convention do about Wade Burleson? The heavy delta drawl will make it sound like "Wat shewd de covesion du bot Vad Urleson? Paige will not understand the question. Have Jerry Rankin on standby to offer his private intepretation of the unknown tongue. Jerry says, "Should I go, or should Wade go? Paige says, "Jerry, I have no opinion on this matter." All the messengers who double as puppets find their strings cut and vote their consciences. i'm from mississippi. need help? it's shake and bake and i hepped. Hmm...If I were in your shoes? If I were in your shoes I would take them off and throw them at the most contentious of your opponents. You have a pretty decent arm (High School Quarterback) so I would have to think that this would have some effect in persuading them toward your position. In all seriousness I would simply concede the issue and walk away. I know that advice seems cowardly, but in a paradigm where there are ultra conservatives, moderates and liberals (and I know these are sweeping generalizations that may or may not exist in this situation, but bear with me for argument's sake) the conservatives will more often than not reach a point where they take their unwavering stand on certain issues. When this stand is taken justice is done when the liberals are appropriately driven out, or at the very least shown the proverbial door (insert CBF-BF&M or inerrancy example here). Now, that's all well and good, but what invariably happens is that because conservatives are never happy until everyone is as conservative as they are the old moderates become the new liberals, and the process then repeats itself until...well, until you are left with a small, proud isolated group of pietists who love no one but themselves (a la the anabaptists). Could this be what is happening in the SBC? If so...just walk away. If you recall the Spanish Inquisition what you had was a predominantly Christian country that, through some measure of force, pressured much of its Jewish population into conversion. However, mere conversion wasn't quite enough. The inquisition started because the Spanish-Jewish converts to Christianity were not culturally religious enough for the churches liking. So the inquisition ensued...resulting in not the testing of true faith in Jesus but the testing of one's adherence to the Spanish Religious Culture. In the late 15th century you couldn't be a Jewish Christian in Spain...you had to be a Spanish one, and you were baptized and re-baptized until you figured it out. I'm afraid the IMB is headed toward its own mini-inquisition. The IMB Inquistion is a test of adherence not to a candidates true faith in Christ and desire to serve him, but rather the said candidate's concentrated allegiance to Southern Baptist Religious Culture. Now this maybe there right as good Baptists, but as the powers at be continue to run faster and harder toward their conservative ideal, the SBC Religious Culture, they will find fewer and fewer adherents. Thus, they will find fewer and fewer missionaries that pass their test, which today consists of questions regarding baptism and tongues, but tomorrow will include the next set of uber-conservative hot button issues (Calvinism, Elder Rules, eschatology, etc...). Did I say walk away...? Check that, RUN. You have drawn the line...stand firm. Proverbs 21:1 says, "The king's heart is like channels of water in the hand of the Lord: He turns it wherever He wishes." This was accomplished in the heart of one of the most powerful kings in history. IMB trustees are no match for God. Let Him do His work. As poorly a decision as the SBC might make on any matter, they are still not the enemy. As much as Paige Patterson or Paul Pressler or Adrian Rogers ruined someone's ministry, they are still not the enemy. As much as we reject a charismatic's use of unregulated tongues in a service, or a Presbyterian's baptism of an infant, they are still not the enemy. And guess what- the IMB Board is not the enemy. It continues to amaze me how much bitterness people hold onto against the SBC while they themselves claim to preach a gospel of forgiveness. Are we here mounting a charge against the SBC? The IMB? Is this energy focused on fighting these entities? Is it justice you are after? Many of these comments give me concern. Having recently resigned from the IMB after serving 8 years in Asia, I want to express gratitude for the support we always felt from the Board. The watchword in the early days of our service was ALL PEOPLES...NOTHING LESS. I was honored to serve with a group of colleagues radically committed and creatively committed to doing whatever it took to get the job done. Actually, it was awesome to be distanced from the political agendas in our convention at home. We were focused on the MAIN THING. Since returning to our home culture, I have been astounded at the American church, and our denomination in particular. While on the mission field, we grappled with unraveling all the misconceptions of what the church is, and how to create a church that dynamically invades the cultural and brings real transformation. We received the letter forwarded to us from some of our missionary friends since we had just resigned from the Board. All I can express is that we were grieved, and so were many of our colleagues. These issues are such NON ISSUES on the mission field! All of us were confused about how this came about, and we were not given any details. Your brave exposure has helped us understand what really happened. My husband and I have just moved to Oklahoma...today! (my husband is actually traveling to Asia today)but we would love to get together with you and support you, as well as support some type of group effort to deal with this situation. ***The media talks...I am thinking of the scene from The Miracle on 34th Street...remember the scene where all the letters are addressed to Santa and bag after bag was dumped on the desk of the judge? You need to mount a media campaign for people to send letter after letter to the Board asking them to rescind these insidious new policies that are neither Biblical nor Spiritual. Let the Mission Board be so overwhelmed with the response that it stops their effective operation for a while. Perhaps then they will grasp that this policy truly is wrong. Mere emails will not do it...but pictures, especially in our culture, speaks louders than words on a page. A picture reframes the argument. Can pictures be shot that shows the physical evidence? ***Could all the missionaries on the field be rallied to write letters of support for what you are doing and have these line the walls of the Convention? Or at least line the posters of certain people willing to publically display them at the convention? Let the missionaries speak! I have NEVER gotten involved in anything that smacks of politicism in our convention. I see these things are peripheral. I want to give myself to what really matters. However.....in this case, this is clearly undercutting the simple authority of Scripture. I am with you all the way.....what do I have to lose? go-fight-win or lose, do right! then we would see where the evidence led! The Bible is strong enough to speak for itself...and the IMB Board might be shocked to discover that! Having just resigned from the Board in the past six months, I am willing to take a stand on this issue, since it would now disqualify me from returning to the field. Please tell me how I can help. I would be glad to rally some substantial support. I would launch some investigative reporting: How many of the most productive churches in the SBC concerning missions truly support this new policy? Dallas Willard says, "You can act contrary to what you profess but you cannot act contrary to what you believe. You always act on what you believe." It is easy for us to profess "priesthood of the believer" but do we really believe it? As a IMB "missy" in Central Asia, I know what is inside me is what comes out. And I know from personal experience that if all the IMB trustees took 3 whole days to fast and pray, reading, soaking and meditating on the Gospels, that many actions would be changed. All it takes is setting aside our agenda, our lives that we see as a project sometimes, and seeking Him. Let us think deeply about our thoughts and choose change through obedience to Him! If the Trustees want to set aside the time, we will too. If you have just join us, I am Noah and my co-anchor is Moses. Noah says, “Here is the situation. It is first and ten with 2 minutes remaining in the game and brother Wade has the ball on his 20-yard line. Wade continues to be prefect 15 of 15 from the field”. Moses says –“I think that is due to the fact that Wade continues to seek out the principles and deal with the issues and the defense is all about blitzing and trying to adopt a new type of defense. Wade is able to understand the defense and continues to keep a clear mind”. Noah says, “Well member here we go the first play of the drive. It is an action pass play and Wade throws the ball to Paul the apostle for a first down. Wait a sec member looks like there is a flag on the play. The players on the defense are trying to tell the referee that the quarterback Wade is gossiping about the new defense. It appears that the referees are going to get together to see if Wade had conducted a personal foul. Well, member this looks like the review could take awhile”. Moses askes Noah, “Noah what was your take on that flag”? Noah says, “The defense asked Wade to quit as quarterback and Wade gently told them in a loving way that he will never back down from what he believes to be a violation of principle”. Noah says, “Now Wade has gone over to his team to address them on this issue”. Noah says “We are going to send it to John”. “Hi this is John the Baptist reporting from the sideline. What I just heard from all of the team members is that they would continue to love and support their quarterback. Back to you, Noah”. Moses says, “That is what I really like about the quarterback Wade. He is a man of principle and integrity and does not pay much attention to what the fans say but ultimately what the owner of his heart and soul has to say”. We interrupt this program to bring you a quick word of wisdom. If you are watching or listening to the game, don’t pull out. Don’t leave. Don’t quit giving because our quarterback and the team that he leads will not quit because the mission is too important. If you are just now joining us from that interrupt we do apologize. Team Wade has won because while you were away there was no flag and the game continued and on the very next play Wade ran in for a touchdown because the defense lost sight of the game. I want to offer a counter voice to all of the clamoring for you to resign, step aside orget out while you can. First of all, you didn't ask for the contraversy and didn't do anything outside Board policies, unless there are things about which we are uninformed. To step aside affirms that they are right. Either right in their claims, or right to assail you. Either way, false accusations win the day if anything other than a vote or the Board's recention of the issue happens. As to disruption within the Board, the IMB and the SBC, it is not you who is causing it. It is the Board, the caucas and those related, et.al. It may be that you can smooth the ruffled feathers, but smooth feathers is not what we need. This is an issue (now becoming several issues) that need(s) our attention. Frankly, we must deal with this - and quite a numbe of us want to do so, but we need you to simply stand your ground to give us the opportunity. As you see, we are going to do a lot of the heavy lifting, here. You will not suffer nearly as bad as some in the past may have when running afoul of the power structures in the SBC. In fact, you are being flooded with far more encouragement than I suspect you were receiving prior to this situation. Finally, let me reiterate my previous advice. Continue to speak humbly and let the accusations and the accusers hang themselves. They are false accusations and they speak about the men that make them: either they lack character or that they lack a grasp on the situation. Either way, they reveal their inbliltiy to serve capably to the convention at large. A vote against them (hopefully an overwhelming one) will cause the uninformed to open their eyes and consider that they don't quite have the full story. It will cause the power brokers to realize that their power supply is more limited than they thought and will curb their actions. I think that the internet, and blogging in particular, are going to prove to be a counter to the cronyism and power brokering within the power structure. It is much harder to do things in the dark when a person can reveal the actions of others or opinions about policies, with a few minutes of typing and a click. I also want to throw in here that you should not be the general, organizing opposition. As it is, you are the sympathetic victim who is humbly speaking the truth about himself and his principles while others decry you with clear falsehoods. Your integrity right now is stemming from this!!! If you become a power broker with a team of co-conspiraters that you help to coordinate in order to win a satisfactory vote at the convention, your credibility goes out the window and so does everything else. You must let us do the heavy lifting, because our integrity comes from not knowing you personally but analyzing the situation and finding you innocent. If we are on a covert team together, none of us are any better than what we claim the caucus is and our cause is not just, nor does it stand a chance. Wade, My prediction is that "The Powers that Be" will win out because the average SBC member will not care to learn the facts but will continue to follow blindly those in charge. My husband and I were missionaries of the old FMB for 15 years. We were never asked to sign creeds, etc., but treated with kindness, respect, and trust by the Board and employees of the Board. For the next board meeting you should walk straight into the room without saying a word and climb upon the table and sit down with your best Buddha pose. Then proceed to take off your shirt and challenge the board to rub your belly for enlightenment. If they challenge your enlightenment. Tell them that you have been privately chanting in a unknown tongue to Buddha, Krishna, Mohammad, Joseph Smith and Yoda and that they enlightened you. When they can no longer pick their jaw up off of the floor, tell them that when they die you are going to a Mormon Temple to undergo the Baptism by proxy on their behalf so that they may enter the celestial kingdom. If that doesn't work, borrow Brooke Shields for the afternoon and walk into the Board meeting and in your best Bob Hope voice say, "Can't we all just get along? Me and you smoke-em peace pipe and sing Kum-ba-ya." You said, "I have rejected numerous CBF posts..."
Am I to understand that although many Baptists "outside the camp" are spiritually supporting you and lifting you up in prayer, you are rejecting their posts simply because they are not members of the Southern Convention? You asked, "If you were in my shoes what would you do?" * I would recognize that there are honest-to-goodness Christian believers outside the brick and mortar of the SBC. * I would not summarily dismiss their prayers or reject their support. * I would love my denomination with all my heart and do all I could to hold it to a Scriptural standard rather than a bureaucratic standard. * I would stay the course. * I would follow Jesus in His command to "love your enemies, and pray for those who persecute you, so that you may be sons of your Father in heaven." (Matthew 5:44-45 HCSB). * And if all else failed, I would go to the convention in a bright orange suit, flail my arms wildly, and screech in tongues while flinging sprinkles of holy water at babies. You need a vacation! You need to spend time with the people that love and support you the most---your family! I think that you could begin taking donations from all the people out in “blogger-land” in order for you to get away and rest with your favorite people—your family. If everyone contributed $1 for each time they’ve visited your blog, at the time of this writing you would have $49,909….plenty of money to take your immediate family and your family of origin (including sisters) to a vacation spot. You wouldn’t have to do anything extravagant, nothing out of the country or anything, maybe just Hawaii. That’s what you should do, at least that’s what I would do if I were in your shoes. And you must know that I’m thinking ONLY of you! Even though I am your sister, there is no personal agenda here! Proclaim you are taking a Nazarite Vow. Don’t shave or get a haircut between now and the Convention in June. When the time is right and you are allowed to speak publicly at the Convention, come out in the costume of Jesus like the one from Emmanuel’s Pageant. Recite the sixty-six identifications of Jesus in the sixty-six books of the Bible. After that, declare that if the messengers of the Convention can manage to get you 90% of the votes you will shave your beard, cut your hair, slick it back with Brylcreem, wear a powder blue polyester leisure suite, and sing “Amazing Grace” on the steps of the Convention Center. I would call your friend Jeff VanVonderan and have an intervention.. I would love to hear the trustees spell out their name and say, "I am addicted to power and control." Maybe we can get it on A & E.
Jeff would rip them to shreds. If I were in your shoes, I think I would buy a new pair of shoes! OK, this second one is not a joke. Thought I'd better note that, as some might think it is...since we're talkin' feet and shoes. Carry basins and towels to the next IMB meeting and invite all the board members to join you in an old-fashioned foot washing. Seek counsel from no one who has anything personal to gain. Shoot Wade, you're going to win your own Bob Hope award! Something wierd happened earlier; I had a thought and Art Rogers wrote it. Wade, I would pray about the new IMB policies and re-write them in your new found private prayer language, get Marty to interpret them (that the only way we can accept them) and present the changes as given by God in Greensboro. Just having fun, hope nobody is offended. Just having fun! Interesting read. Keep up the good work.